Looking for a lake house that pretty much has it all? You may have just found it. This is a two bedroom, two bath, 1 1/2 story (1328 Sq. Ft.) with a full basement (768 Sq. Ft.) that has a drive in garage. The Kitchen, Living Room and Bath have had new flooring put down. Most furnishings are to remain. 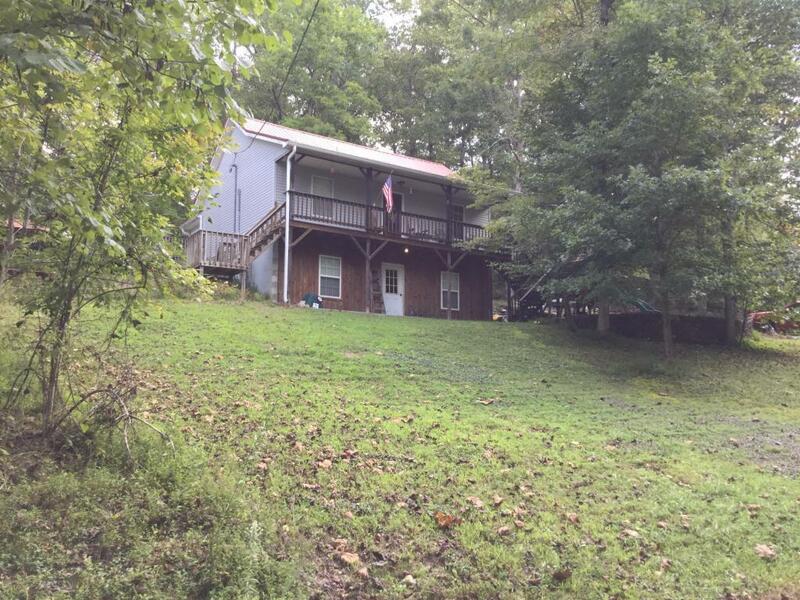 The home sets on about 1.75 acres and also comes with a lakefront lot that has a boat dock. There is even a man made waterfall just outside the beautiful Florida Room not to mention the nice deck and enclosed hot tub. There is even a small fishing boat and playground set that comes with the house. There is also a boat ramp in the subdivision.